Successfully Added Universal 2 DIN Android Car Radio - 2GB RAM, 32 GB Internal Storage Space, Bluetooth, Wi-Fi Enabled, GPS, 10.1 Inches Screen to your Shopping Cart. Universal 2 DIN car stereo with 4G dongle Support for better connectivity. It comes with Bluetooth that allows you to connect your phone and control it through the radio. Android operating system for great apps and navigation. The car radio has 32GB internal storage space for storing your songs and media. 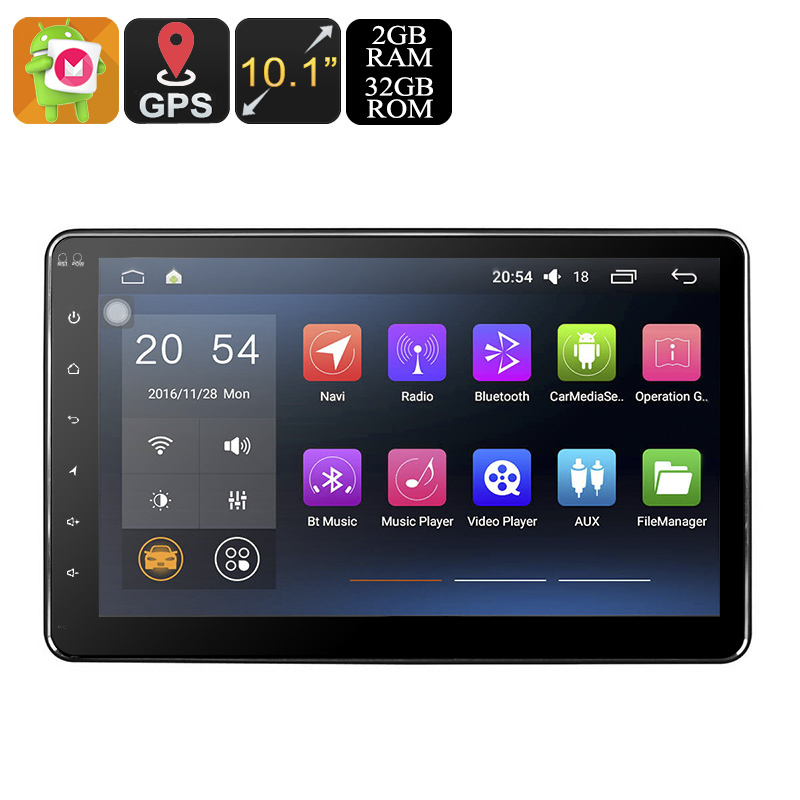 This 2 DIN Android car stereo offers you the entertainment you desire with the ability to guide you on the go. This radio comes with Wi-Fi and 4G dongle support. It enables you to easily connect to a wireless network or through 4G data for fast internet access on the raods. The car stereo has FM and AM radio feature that allows you to have access to wide of range of channels. The car radio also has Bluetooth support that lets you connect your phone and use it through the display screen of the radio. It also has a built-in microphone that enables you to use voice controls for the radio and phone thanks to the Android OS. This eliminates the need to control the phone manually and the hands free operation lets you keep both hands on the wheel and reaminn in full control while also ahveing access to making calls, playing music and more. The Android operating system with a Quad Core CPU and 2GB of RAM enables it to perform at multiasking effeicntly. With GPS capabilityes you can be guided from your door to your desintation and even if your in unfamilier terriroty you'll never get lost. Thansk to the large 10.1 inch ndisplay you'll have a clear map to guide you and any text or prompts can be easily seen at a glance. This 2 Din univeral Android car stereo comes with a 12 months warranty. Brought to you by the leader in electronic devices as well as wholesale 1 DIN and 2 DIN car radios and DVD players..